Group size limited. PRE-REGISTRATION IS REQUIRED. 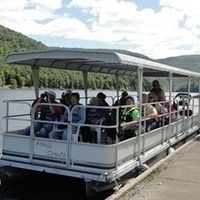 There is no fee for regular Sunday interpretive pontoon boat tours, but donations are requested.